While our group members are continuing to monitor the situation we have not been meeting as a group regularly. We are delighted that the immediate threat of water fluoridation appears to have disappeared for the time being. Do get in touch if you have any thoughts or ideas. Critics call for end to scheme designed to prevent tooth decay in children, saying its effectiveness remains unproved. See Christmas Day article from The Guardian here. Update 29th March: The Guardian poll is now closed – although you can still comment. The final vote was 63% No, 37 yes – a big shift from 53/47 on Wednesday night. Around 80% of the comments were anti-fluoridation and there were a number of very thoughtful and detailed cases, particularly on the Guardian site. Disturbing to see fluoridation is back on the agenda - Sue Gregory, Public Health England's director of dental public health is reported by BBC and others claiming a new study shows reduced tooth decay - see BBC report yesterday here. 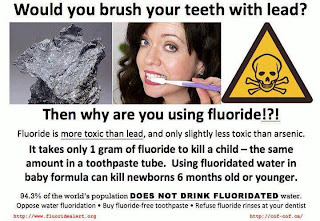 Yet to fluoridate our water is basically mass medication - the fluoride added is a by product of industry and not at all the same as naturally occurring fluoride - all other countries are retreating from fluoride - only parts of Spain in mainland Europe has similar levels of fluoridation....many of us opposing fluoridation are also not convinced by the studies showing no health effects - indeed there are many also showing the impact of fluoride. We are still waiting for certainty over Southampton not proceeding with fluoridation - see here - we heard again from campaigners there this week that they still haven't heard. 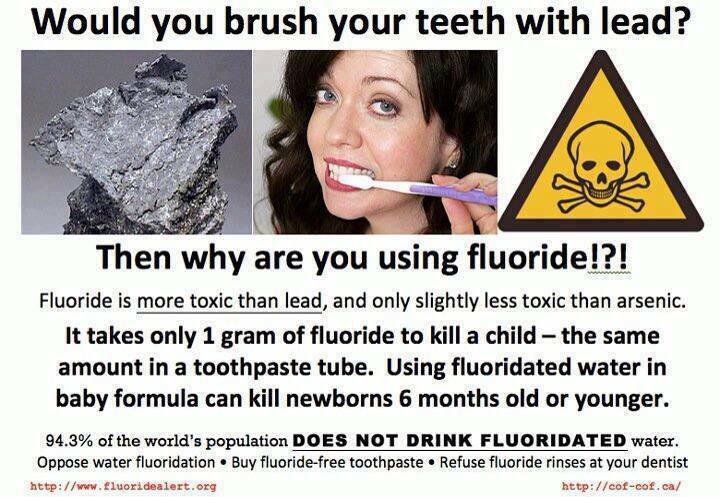 However in the meantime it was good to hear that Israel, which made fluoridation mandatory in 1974, is to ban it. On July 29, their Supreme Court ruled that fluoridation of public water supplies must stop in one year - health concerns were cited. The world over it seems countries are stopping water fluoridation - only 3% of Europe remains fluoridated - sadly 10% in the UK and the last Government seemed bent on over-riding local opinion to try and fluoridated wider areas - Southampton was the first main area so if this is stopped it seems likely it will not proceed in other areas. Fluoridation in Southampton is dead in water? Just got this in an email..."Just had the news that a QC employed by Hampshire County Council has given his opinion that water fluoridation in Southampton is NOT an existing scheme. 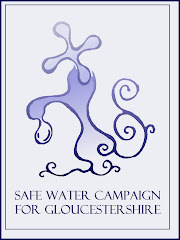 No contract has been signed with Southern Water and arrangements have not been entered into. Therefore, this brings to an end the farce which was first started in 2008.....this means that Southampton and South-West Hampshire are safe for now." All good news as hopefully this will put off others trying to fluoridate our water supplies. This pic has been doing the rounds on Facebook - but just wanted to update this site to say we are organising a local meeting very soon - do get in touch if interested. The site author writes: "The first aim is to provide general public information in a different way. Currently there is a simple statement of the case. I hope to augment this with a power-point type visual presentation of the core issues, which can be run, or downloaded and adapted. Secondly, the site will focus on topical issues, such as the implications of the new consultation regulations. Do you agree, or do you have other ideas on how we might develop the site?" Above all, SWIS is intended as a resource for campaigners. Advice and information can flow both ways.